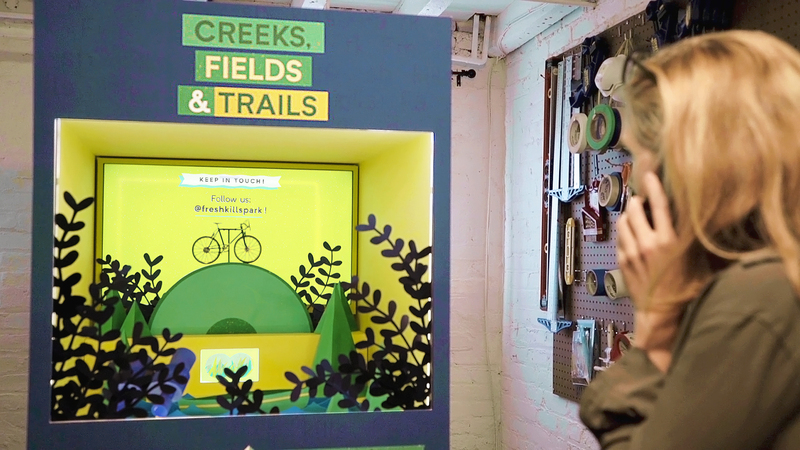 Brooklyn-based Slanted Studios x MTN GODS created a series of interactive vignettes to inform the public about the fundamentals of the Freshkills Park project. 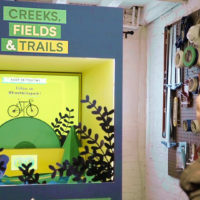 Four dioramas tell the story of the landfill-to-park project through the lenses of environmental history, transformative technologies, wildlife and its evolving future as a massive park. The vignettes include bold colors and shapes in different representational forms and depths, such as compartments, platforms, models, dioramas, and digital screens. 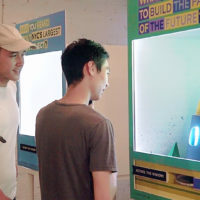 Visitors using their mobile phones are able to activate dynamic paper cuts with motors and lights, and an interactive voice response system made up of several audio files provides visitors with a deeper level of information about the park. 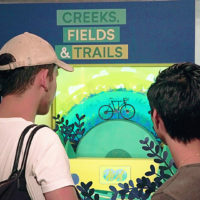 The pop-up is meant to inspire viewers with the landscape design of Freshkills Park to learn more about urban ecology in New York City’s built environment. 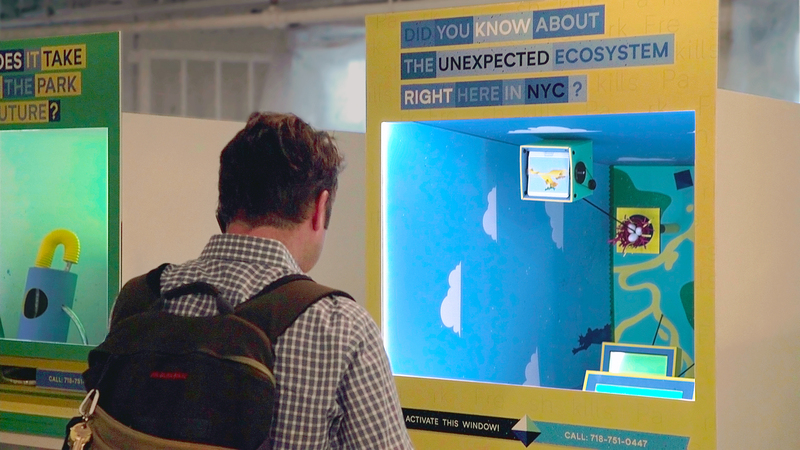 These dioramas are able to tour locations in New York City, with potential for simultaneous display and/or travel. 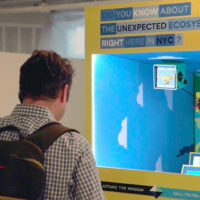 In October of 2018, the dioramas were installed at two New York Public Library branches in Staten Island. 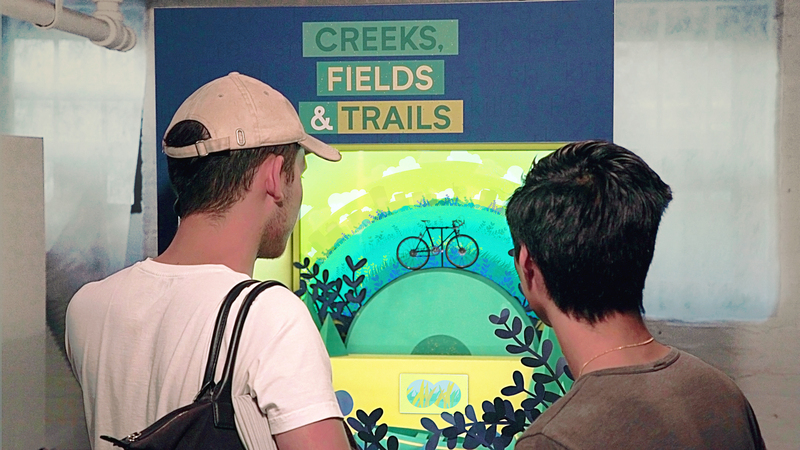 Slanted Studios x MTN GODS were selected to design the installation through a juried process. They are a multidisciplinary team of designers, coders, illustrators and animators with expertise in creating a wide range of commercial projects and public art installations. The team consists of Creative Directors Michelle Higa Fox and Philip Sierzega, Technical Director Charlie Whitney, Content Developer Stuart Higa Fox, and Producer Jennifer Vance. Each interactive vignette includes bold colors and shapes. The boxes include different representational forms and depths, such as compartments, models, and digital screens. Viewers can gain a deeper level of information on a given topic with an interactive voice response system. 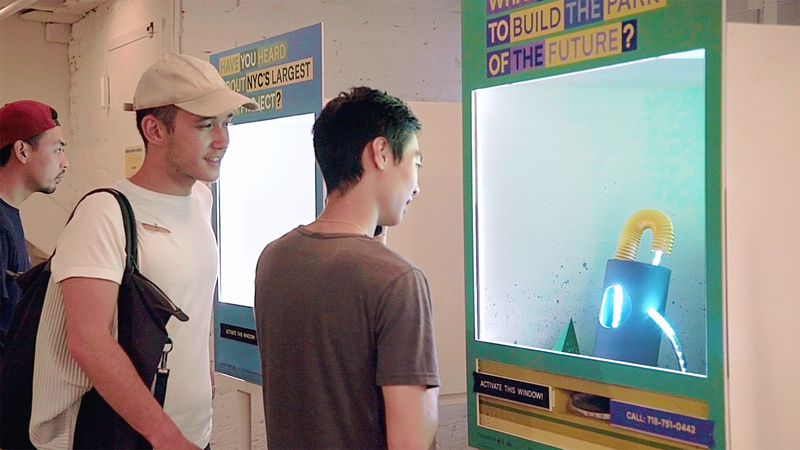 Using their mobile phones, viewers can activate dynamic paper cuts with motors and lights. 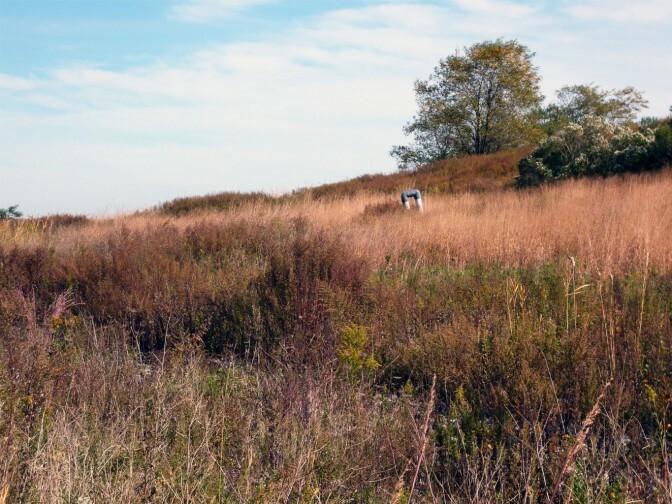 This project is supported in part by funding from the Staten Island Foundation and an award from the National Endowment for the Arts.